As we gear up for the holiday shopping season, I’m reminded of the importance of supporting small business owners by shopping local. 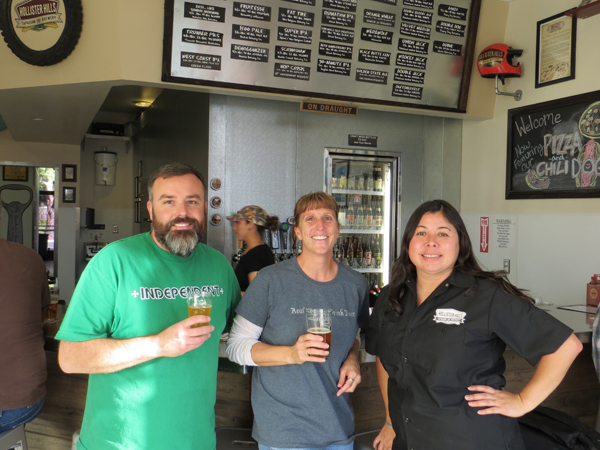 This year, I am happy to report that we have yet another local option when it comes to craft beer: Hollister Hills Taproom and Brewery in nearby Hollister. Joann Kim and Chuck Frowein, proprietors of Grillin & Chillin, teamed up with friends and homebrewers Sean and Fran Fitzharris to open a small taphouse and brewery with a cozy neighborhood feel. Hollister Hills is definitely compact, something the owners hope to change in the near future, but what they do with the small space is amazing! 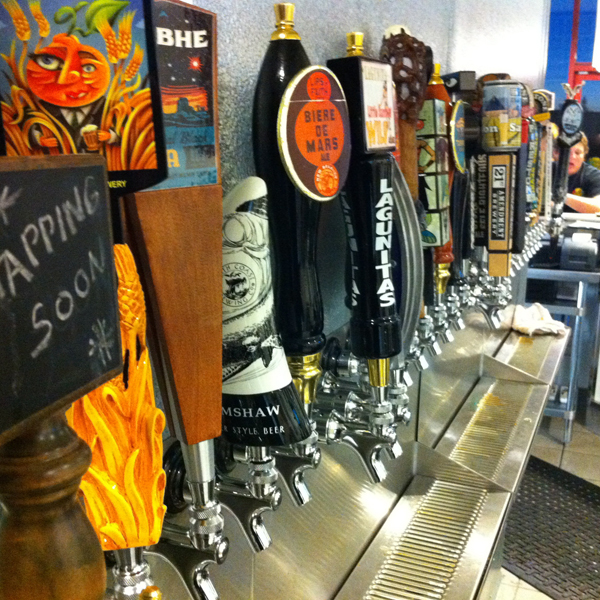 There are 37 guest taps plus housemade beers and sodas. Over several visits to “H2B” (as Sean and Fran refer to it), Chris and I have tried Sean’s Hillside IPA (6.5% ABV, 65 IBUs), Red Beard Amber (5.5% ABV), and Easy…Like Sunday Morning Blonde. We even got a sneak peek taste of a wheat beer made with chamomile and agave. H2B is breaking new ground, as rumor has it that an IPA has never been brewed in Hollister before now. For only having been open for a month and a half, the beers are solid. Just like any new beer establishment, it often takes time to adjust to the brewing system and iron out the kinks. I’m confident that the brews at Hollister Hills will get better and better as they settle in. The food is great, which is always a plus in my book. 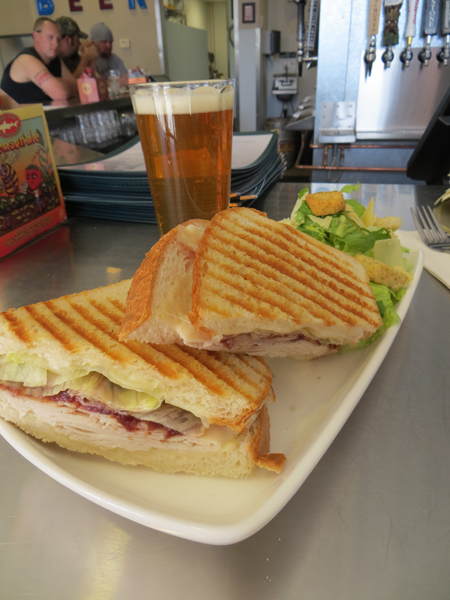 No fried pub food here, the H2B menu includes carving boards (meat, cheese, deli, and Mediterranean), pressed sandwiches (my favorite is the Turkey Cranberry), a variety of salads, and daily soups. Pizzas and chili dogs were recently added to the menu, as well. They also have snack items like a soft pretzel and nachos. I especially like the flavored popcorns, both savory and sweet are available. The lemon pepper popcorn is the perfect beer snack! The staff is friendly and knowledgeable. Beer geeks and beer novices alike are welcomed with open arms and even non-locals will feel included, especially when seated at the bar. Hollister Hills Taproom and Brewery embodies the spirit of “Drink Local” and it’s sure to become the community’s gathering spot.